Back in April I posted two videos and completely forgot the accompanying photos. 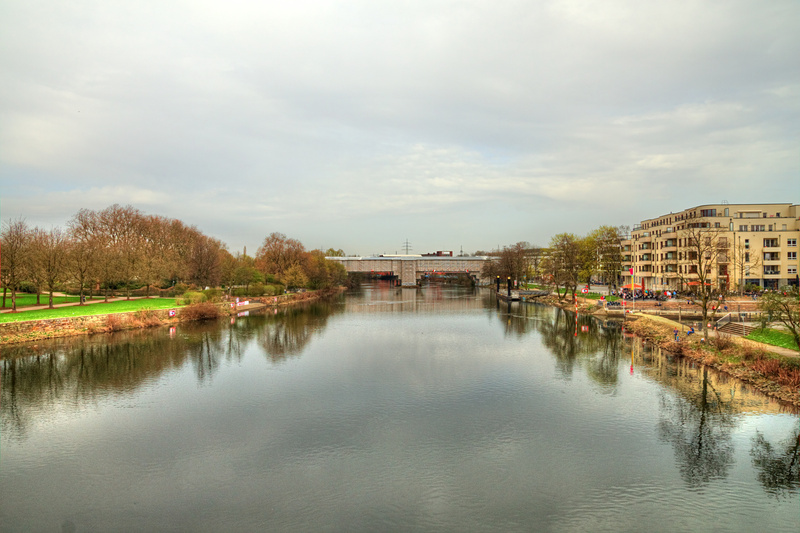 So here we go with a new batch of River Views from Mülheim’s Riverfront – here the view from the Schloßbrücke towards the old railway bridge, which is being renovated this year. These photos are from April 8.